Samsung may be the first to release a foldable phone next year, according to some reports, but it won’t be the only top company looking to launch such devices. A new report says that foldable smartphones are in the works from several tech giants, Apple included, and they may become more and more popular by 2019. But could Apple release its first foldable iPhone as soon as 2018? 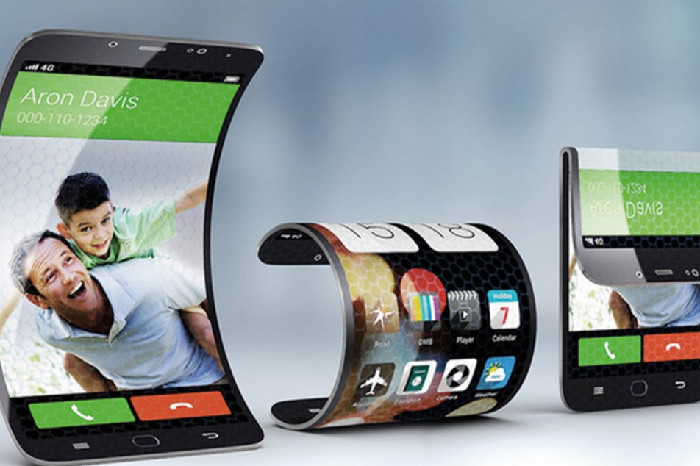 To make a foldable phone, you need a flexible display, and a flexible type of glass. OLED is flexible, whereas LCD isn’t, and Apple is already expected to launch its first OLED iPhone with a curved display next year. “Around three to five tech companies are expected to mass produce foldable phones in 2018 globally. The devices will then grab around 20 percent of the total smartphone market here,” Kolon Industries’ colorless polyimide division head Kang Chung-seok told The Herald. Apple has traditionally been very cautious about adopting certain technologies, choosing to only bring some of them to market in the iPhone when they have met its performance and quality standards. It’ll be interesting to see how fast the company will release a foldable iPhone — or iPad, for that matter — especially considering that the iPhone will receive it’s first major redesign in four iPhone generations next year.